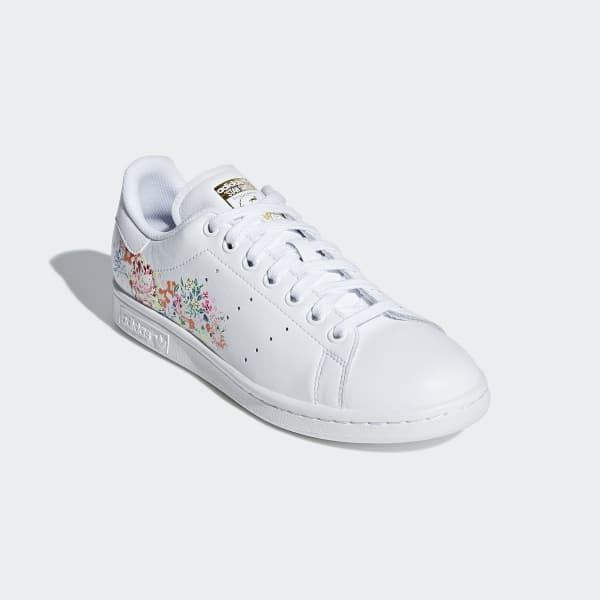 The ever-popular Stan Smith shows off a chic side with a floral print. 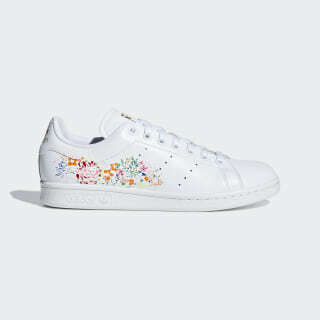 Stan Smith gets a feminine touch in these shoes. The simple leather upper is graced with a pretty floral print in vivid colors. The updated look is finished with perforated 3-Stripes and a simple rubber cupsole.